Making mead never fails to be an exciting, mystifying and thoroughly satisfying process. It’s a way of connecting with an ancient past, a set of traditions that stretches back to icy forests of northern Europe, when mead was the ultimate treat awaiting explorers, warriors, hunters and travelling nobles on their return home. However, that’s not to say that the finished product of homemade mead always manages to hit the spot straight away. The problem often comes down to the fact that we have a very clear preconception of what mead is supposed to taste like, and our homemade efforts occasionally don’t completely fit the flavors we have in our heads. The reasons for this are many, but generally involve the reality of working with natural ingredients and processes, which are – by their very nature – sometimes a little unpredictable. The main source of disappointment when tasting your homemade mead is that it simply isn’t sweet enough for your liking. As mentioned, we have a clear preconception in our heads: mead = sweetness. After all, isn’t it packed full of honey? 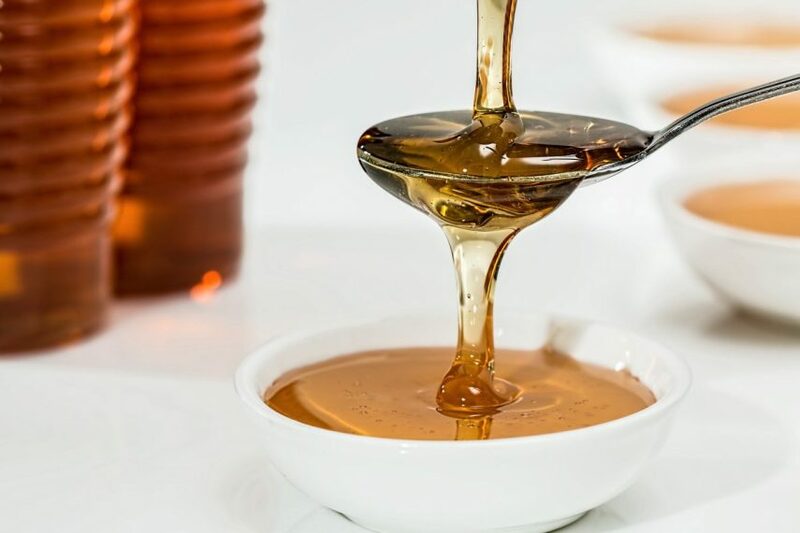 The problem here is that the fermentation process can alter or deplete the sweetness of honey, and thus lead to a drink which tastes quite different from what we were expecting. However, us Vikings aren’t swayed by this, and always have a few tricks up our sleeves to rectify any problem. The solution? Simply use our process to back sweeten mead, and put that sweetness into the mix again once the mead has been made. Back-sweetening essentially involves adding sweetness or some kind of sugar to your mead once it has already fermented. This will boost the sweetness of your mead, and bring it up to a more palatable level. You might imagine that this involves little more than dumping a load more honey into your mead, and giving it a good stir. However, this will cause fermentation to restart, which is going to lead to a load of – potentially very messy – problems. For example, if you try to bottle you mead after kick starting the fermentation process once again, you’re looking at a load of exploded bottles, and a smelly, sticky problem on your hands… which could be really rather embarrassing, especially if you’ve already handed out a load of your beautifully bottled creations to your friends and family. The easiest way to back-sweeten your mead once it has fermented is to get your lab coat on, and experiment with some easily obtainable chemicals. The trick is to find something that will inhibit the yeast activity in the mead, which will allow you to add a load more honey with having the fermentation process beginning again. Ensure the fermentation process has properly ended before you do anything. You can check this with a hydrometer. Pour the potassium sorbate and potassium metabisulfite into the mead, and gently stir it all in. Allow the mead to settle for two days, and for the yeast activity to be fully halted. Add the amount of honey you require to get the flavor just right, and stir gently to allow it to mix in properly. One thing to bear in mind here is that the added honey is likely to cause some cloudiness in your mead. Here at Men of Mead, we don’t mind a bit of cloudiness – it doesn’t affect the drinking experience, and adds a bit of old-fashioned rusticity to our favorite drink. If you really want to bring some clarity to your homemade mead, you can use a clearing agent to achieve the right result, or you could wait for the mead to age and clear up by itself.